A high quality farm holidays in the heart of the Tuscan Maremma. It is 3 km from the beautiful art city of Massa Marittima. It has 4 apartments and a large swimming pool with jacuzzi. 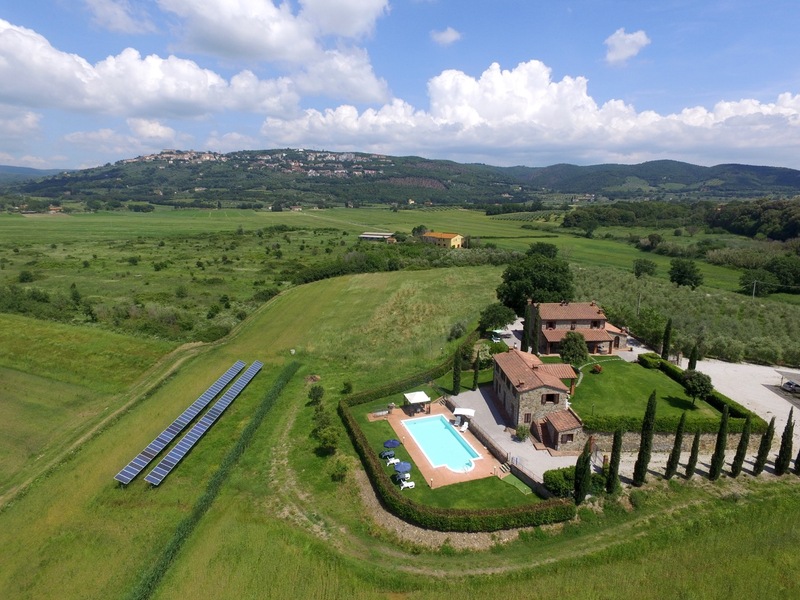 Pian Del Vescovo offers you a new kind of country holiday in a family business deep in the Maremma district of Tuscany. Pian Del Vescovo offers four apartments in two buildings, with room for 18/20 visitors in total. A whirlpool swimming pool is also available. 3 kilometers away is the town of Massa Marittima. Its medieval centre charms every visitor, and the cathedral square has admirers all over Europe. You will find our two houses on a sweep of lush plain (hence the Pian in the name, which is short for pianura, a plain). Medieval and Renaissance sources show that Pian Del Vescovo was built on the remains of the bishop of Massa and Populonia’s former residence. This explains the other part of the name (Vescovo = bishop). The complex has been completely refurbished. It consists of four apartments in two buildings: 3 apartments each with 2 rooms (c. 45 sq m) for up to four people are in one of the buildings. The second building, the Casa Padronale (manor house; c. 75 sq m) can be used in a number of ways: it can accommodate single visitors, couples and families, up to groups of 6, 8 or even 10 people. The buildings appeal because of their beautiful architecture and furniture. The surrounding area is very beautiful as well. 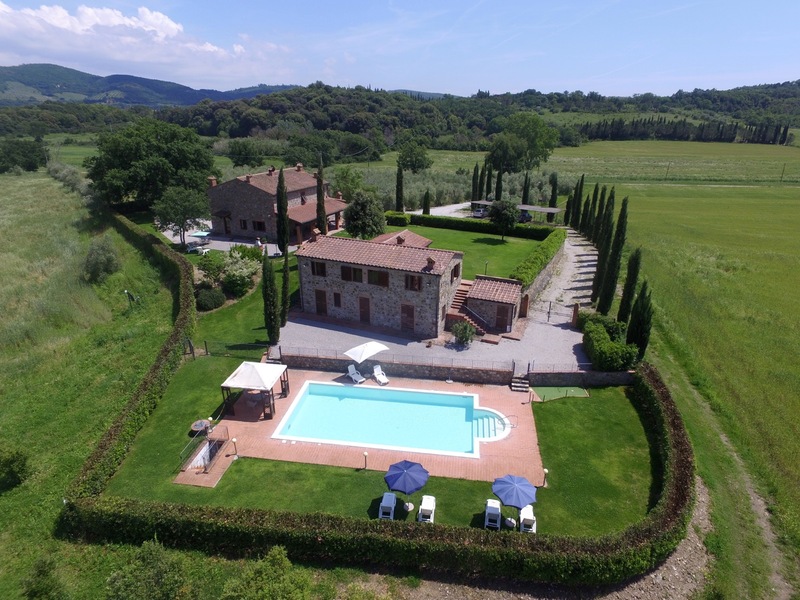 The estate is set in a narrow strip of land about 15 m wide between the sea and the hills, and offers visitors countless opportunities for exploring this part of Tuscany’s Maremma district – and to watch the storks in flight. Walks along the rivers Pecora and Cornia, a fascinating trip into the Parco Minerario (mineral park) or rambling in search of the old mines in the Terra dell’Argento take visitors to the remotest little villages in the Colline Metallifere (mineral-bearing hills) with their typical houses and alleyways. In a few minutes you are at the Gulf of Follonica or the Lago dell’Accesa, a volcanic lake, or at Monte Cornate. Not forgetting of course the historic town of Massa Marittima, which you should allow plenty of time to see. It offers many events in summer, starting with crossbow shooting in historical costumes and ending up with night-time opera performances in the cathedral square. Pian Del Vescovo offers 4 apartments, in two houses: 3 apartments are in the Casolare del Vescovo (Bishop’s House), and a large set of rooms in the other building, the Casolare del Viandante (Wanderer’s House). All apartments have separate entrances and a spacious porch. They each have a well-equipped kitchen, satellite televisions and central heating, in short, everything for our guests’ independence and comfort. The apartments have been very carefully restored. They convey the atmosphere of a typical Tuscan farmhouse, with terracotta floors and rustic peasant furniture. All guests at Pian Del Vescovo can use the swimming pool free of charge. There are 3 apartments in the Bishop’s House, the CASA DELL’ALBA (Dawn Apartment), the CASA DELL’OMBRA (Shady Apartment) and the CASA DEL SOLE (Sun Apartment). Each apartment has 2 rooms, occupies 45 sq m, and can accommodate up to 4 people. They are essentially identical: each has a spacious living room (22 sq m) with a fitted kitchen, a large bedroom (15 sq m) with a double bed and a bathroom (5 sq m). 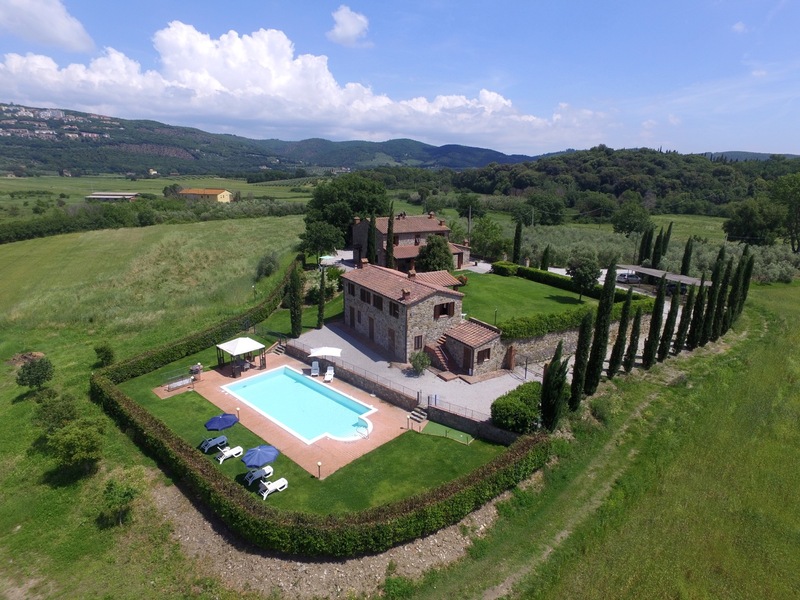 The Manor House offers the Casolare del Viandante (Wanderer’s House), and occupies an area of 75 sq m. It can be used in a variety of ways: individuals, couples, families and groups of 6 people. The Casolare del Viandante is immediately opposite the swimming pool. The Casolare del Viandante actually contains 2 apartments with a large communal living room. Each of the two apartments has a separate entrance, and so they could be used separately if wished. They are arranged in mirror image, with a large bedroom (15 sq m) and bathroom (5 sq m). The kitchen is also in the communal living room. Both apartments and the living room have satellite television. When available, a single apartment with an area of 20 sq m can be booked in the Casolare del Viandante, consisting of a single room with bathroom, but no kitchen. Take the Genoa-Livorno motorway to the Rosignano exit. Continue on the Aurelia SS1 to the Follonica est (Follonica East) exit. The route on the SR449 to Massa Marittima is signposted. After just under 10 km you will see the town on a hill. Immediately after passing a large Esso garage on the right, turn off to the left and follow the Marsiliana signs. After about 2 km on the SP143 you will see the Pian Del Vescovo estate on the right. Take the SS2 Florence-Sienna motorway to the Colle Val d’Elsa exit. Drive towards Massa Marittima and Follonica, first on the SS441 and then on the SR439. Do not take the first turning for Massa Marittima, keep to the main road for another 3 km. Turn off to the right at the second Massa Marittima turning (which is on your left) and follow the Marsiliana signs. Then see above. The nearest railway station is Follonica (or Campiglia). The nearest airports are in Florence and Pisa. There is a rail connection to Follonica from there. Further information about our services and the availability of the apartments can be obtained by telephone or e-mail (please communicate in Italian). Please fill in the form below. 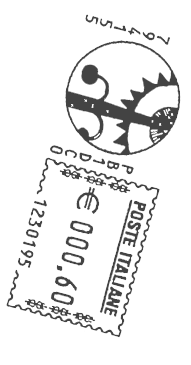 Booking is either by telephone or on the form below. Important: You will find our terms and conditions attached to the form. They give details of how to prepare for your holiday. Please read the terms and conditions carefully, even if you intend to book on the telephone. Please send us your enquiry by e-mail using the above form. We will answer as quickly as possible, also by e-mail. Then please confirm your booking by e-mail and transfer your deposit free of charge (our bank details will be sent to you when required) within two working days. At the same time please send us a copy of your transfer instructions, ideally by e-mail. We regret that we cannot process your booking unless you follow this procedure. We will confirm your payment on receipt by e-mail. The deposit is forfeit on cancellation. The same applies if you do not arrive at the agreed time. Additionally, an all-in sum of 100 euro is to be deposited against damage. This will be deducted and returned where applicable at the end of your stay. Rental and deposit against damages are due for payment in advance on receipt of the key. Your passport is to be produced when checking in. The apartments are let by the week from Saturday to Saturday. Other arrangements are possible under certain circumstances. You should check in by 5 p.m. at the latest on the day of your arrival. If you anticipate that this will not be possible, please let us know. The apartments must be vacated by 10 a.m. at the latest on the day of your departure. The swimming pool with whirlpool is as your disposal from 8.30 a.m. to 10.30 p.m. (except in the event of technical malfunction). It can be used free of charge. Your personal data will be used exclusively in the context of this contract; data protection requirements are taken in to account.